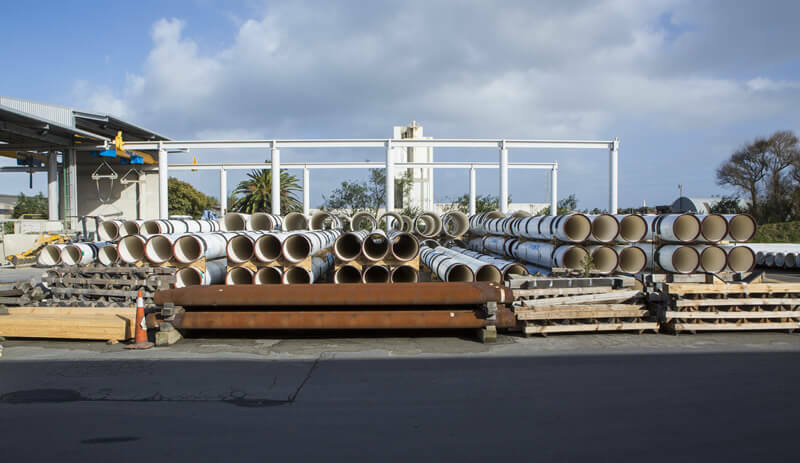 Steelpipe is primarily a “make to order” manufacturer, however, we do carry a range of concrete lined steel water pipe and plain shell structural piling in our Onehunga yard. Availability does vary from time to time, so it is best to contact one of the sales team to confirm price and availability. Steelpipe offers a range of additional services for clients. These include a range of end preparations such as single bevel, double bevel, internal welding bands, pile shoes, splicing into longer lengths and surface treatment systems. For more information, give us a call on +64 9 622 4580.